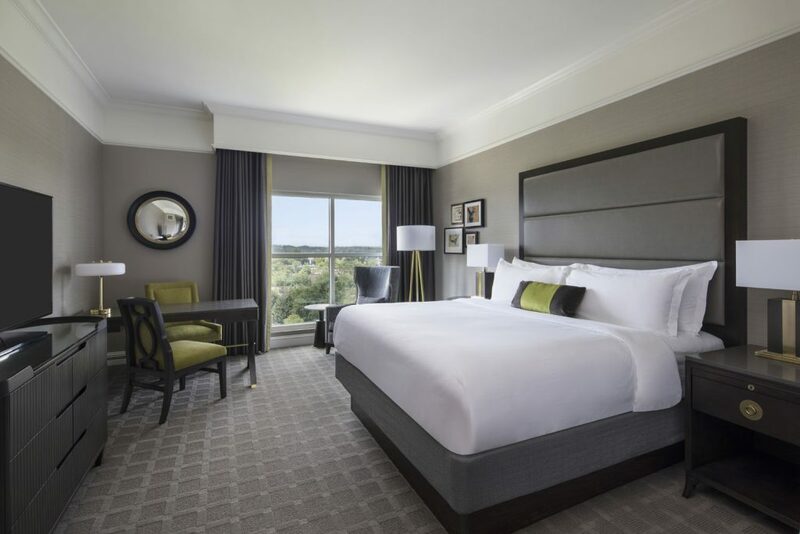 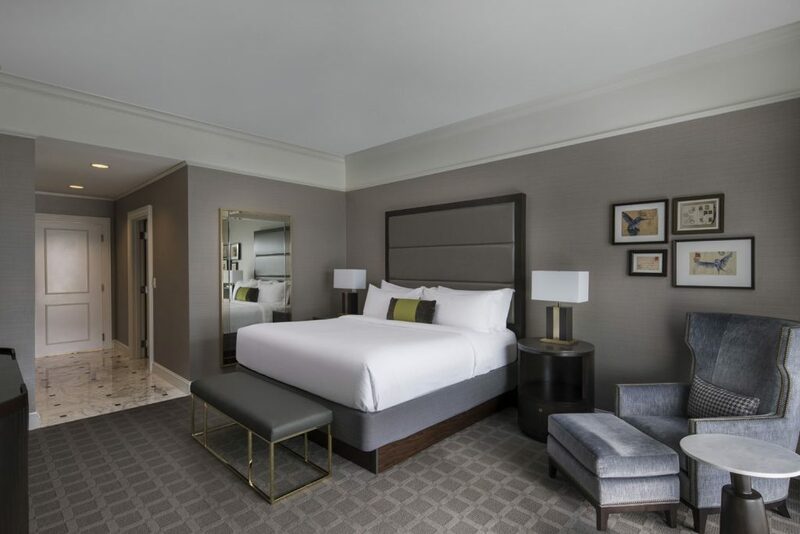 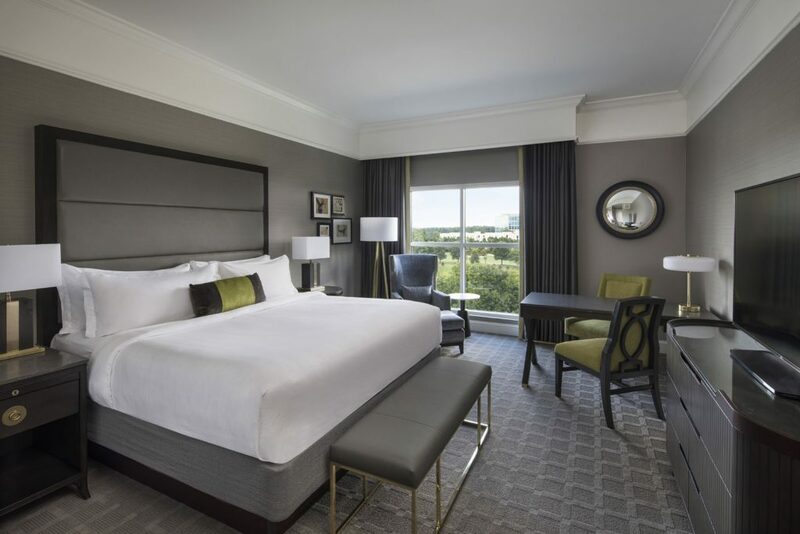 Enjoy a collection of luxurious guestrooms and suites at The Ballantyne. 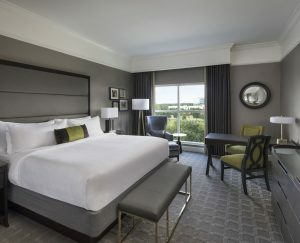 All guest rooms feature ten foot ceilings, large picture windows, rich furnishings, creative artwork and decor, plush bedding with Frette luxury linen, foam or feather pillow options, an executive desk with accent chairs, full length mirror and dresser, mini-bar, dual closets with robes and slippers and 55″ television. 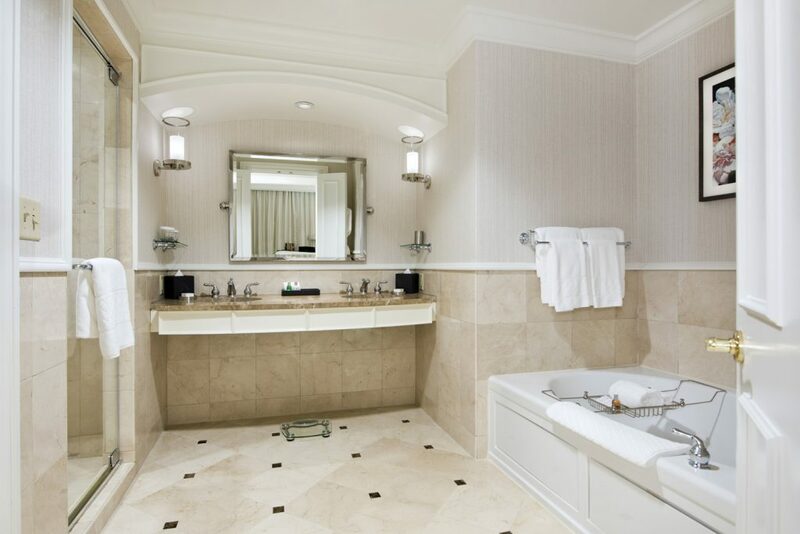 Most guest rooms offer a spacious marble garden bath and separate seamless glass shower. 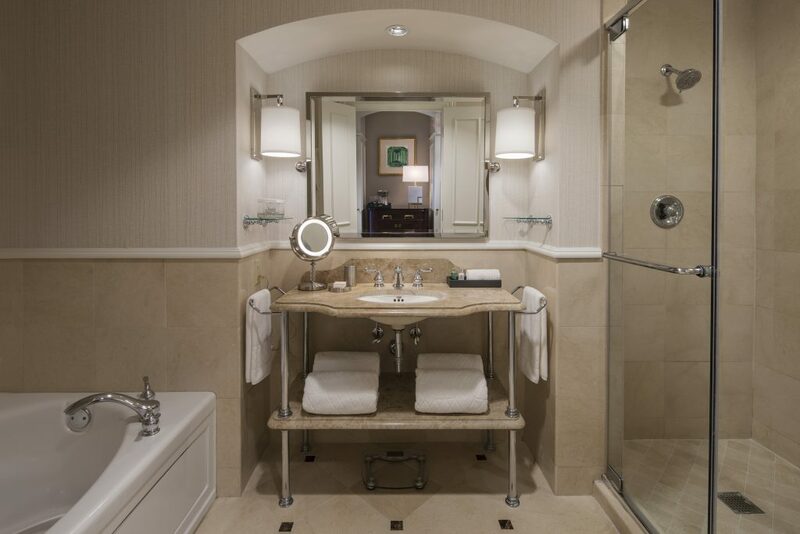 All guests enjoy bath amenities by the renowned Molton Brown. 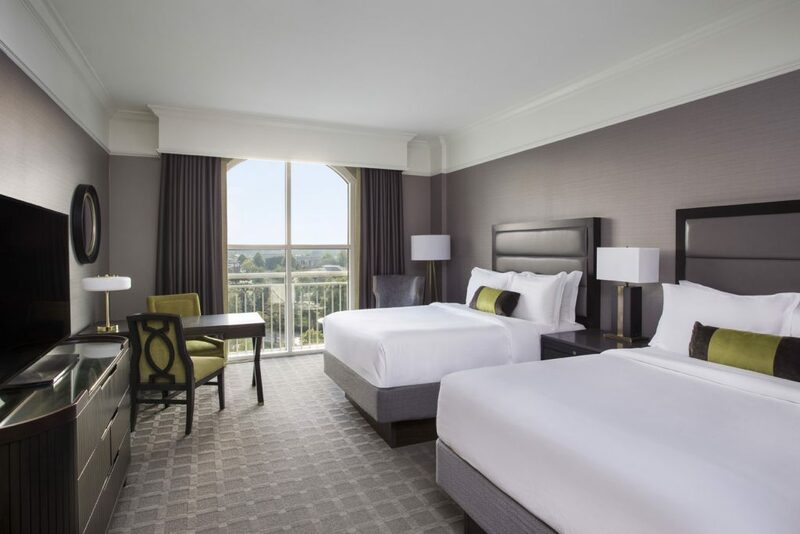 Enjoy seasonal savings on hotel rooms view special offers and packages. 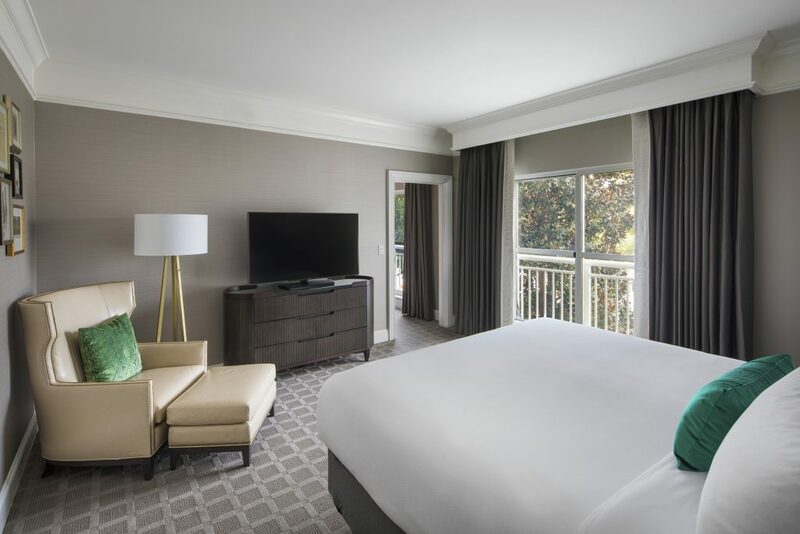 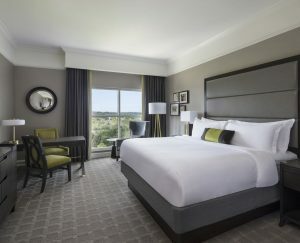 Enjoy lovely Ballantyne neighborhood views overlooking Ballantyne Village from your deluxe king or two queen hotel room. 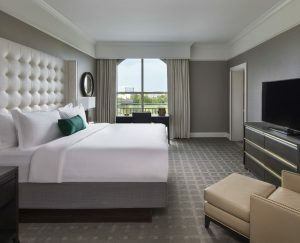 Deluxe balcony can be reserved with a king or two queen beds. 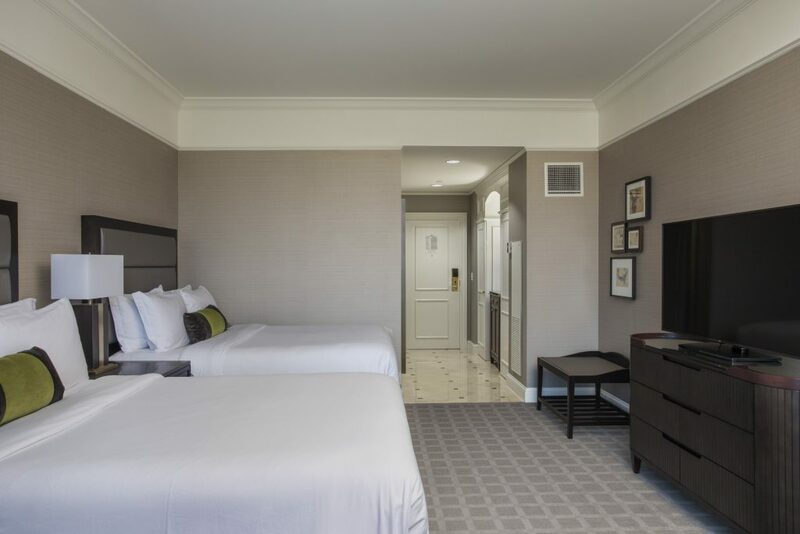 Accessible rooms can be guaranteed. 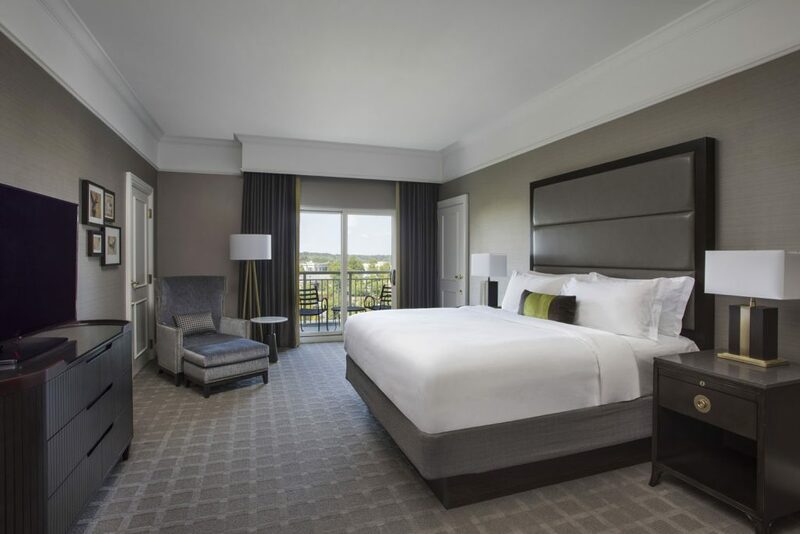 The junior suite features Ballantyne community views and a more spacious living area. 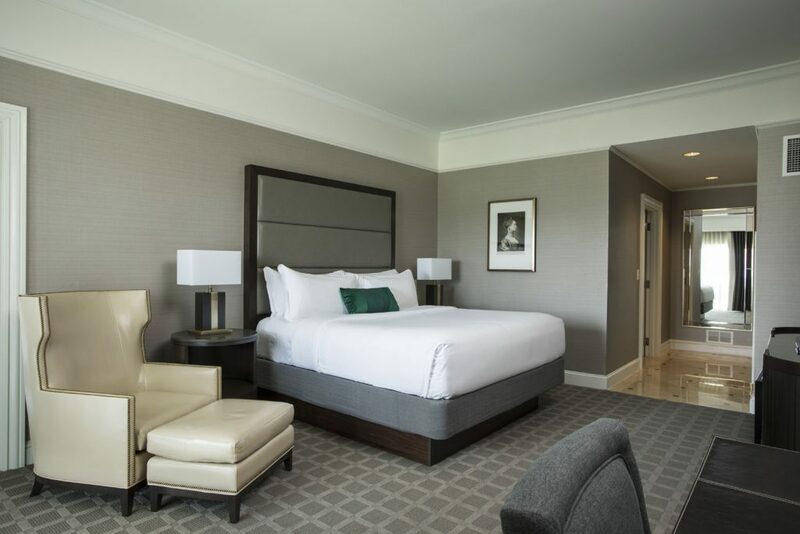 Deluxe rooms are approximately 400 square feet and the junior suite is approximately 450 square feet. 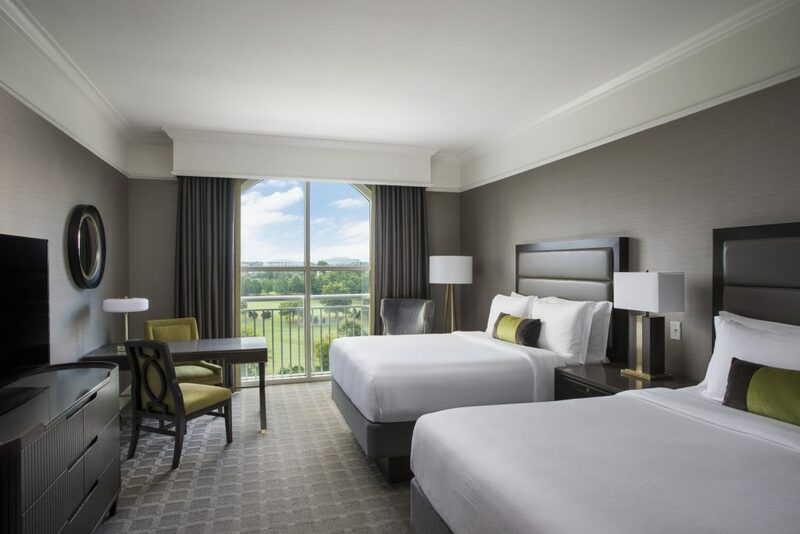 Enjoy beautiful golf and grounds views from your grand deluxe guest room featuring a grand deluxe king or two queen beds. 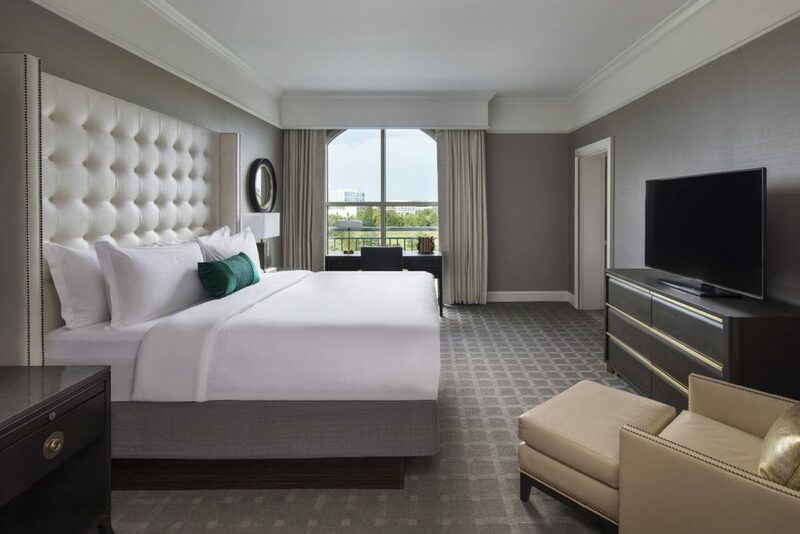 Grand deluxe rooms are approximately 400 square feet. 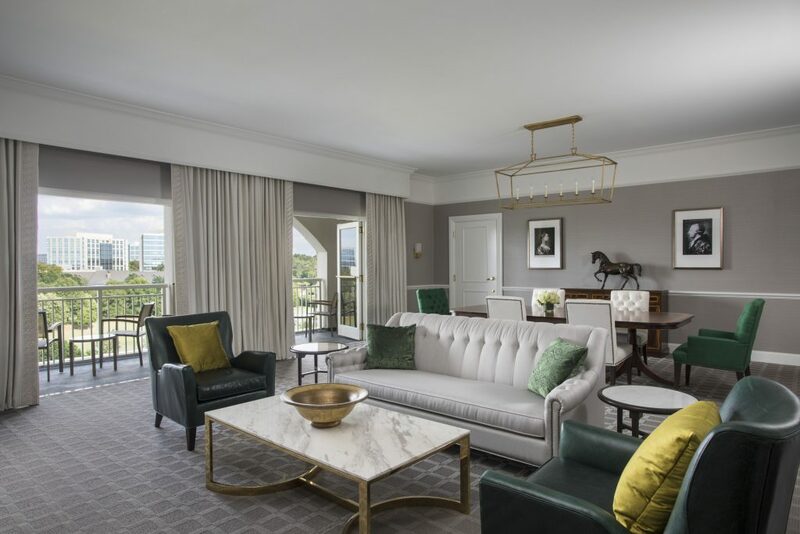 Ideal for guests seeking more spacious accommodations, six luxurious Executive Suites feature picturesque golf views with balconies, spacious and separate living room and a king bed. 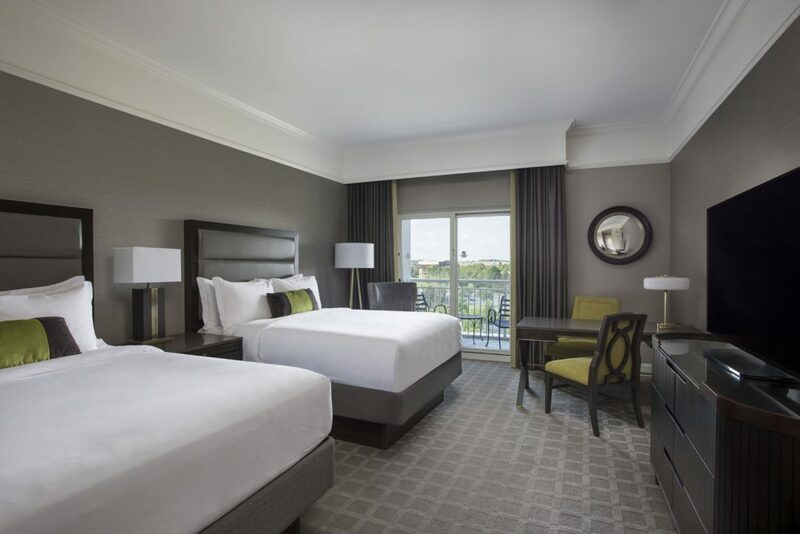 Executive Suites are approximately 800 square feet each. 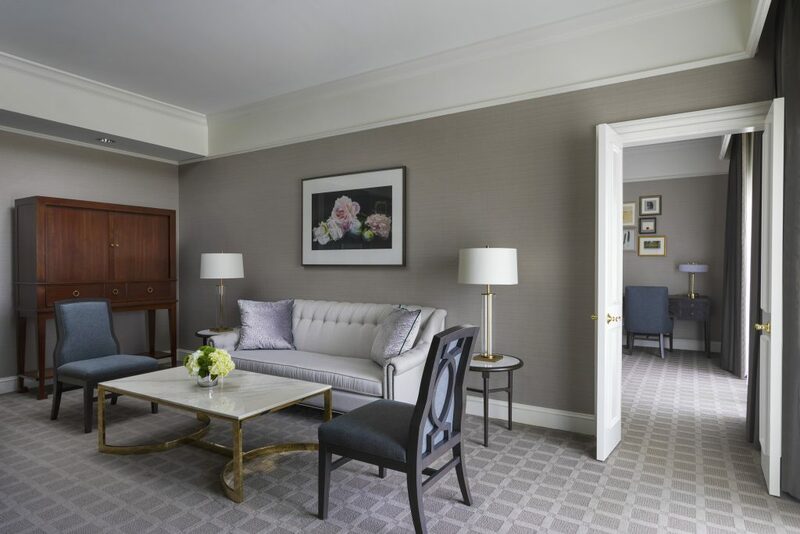 Two Presidential Suites average 1200 square feet each on floors six and seven. 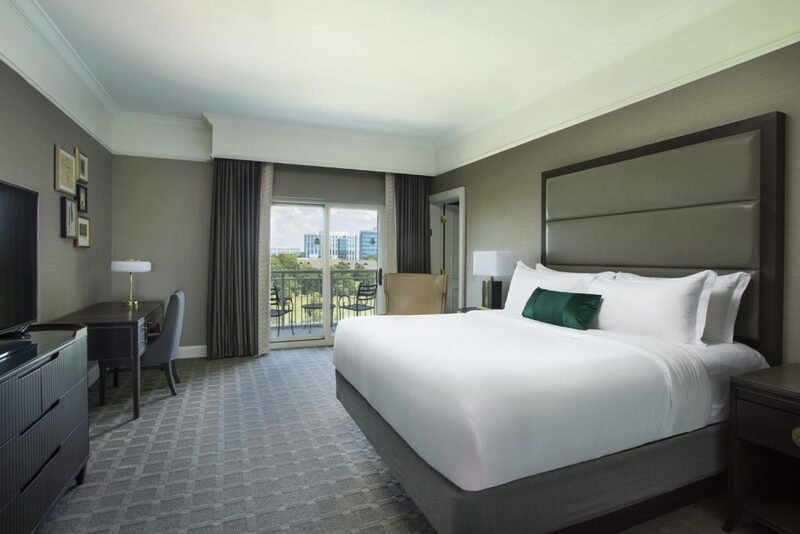 They offer golf course views from a spacious balcony, dining table for entertaining and a kitchen with full-size refrigerator and dishwasher. 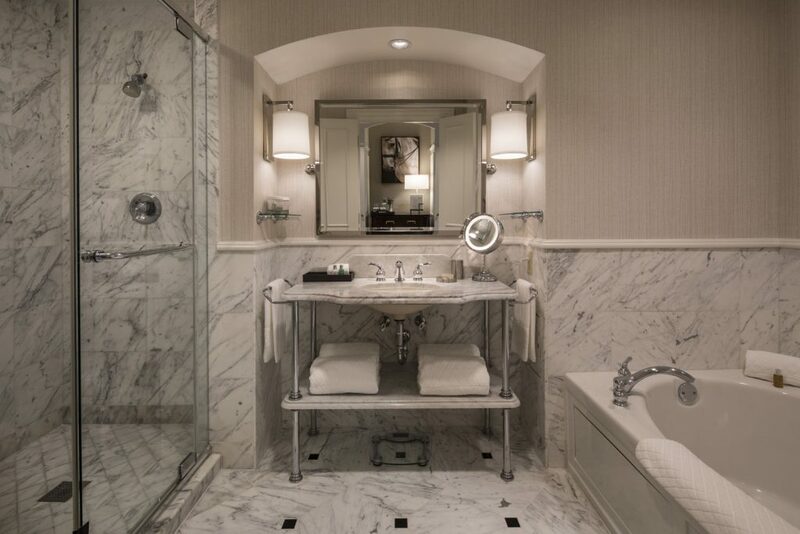 The marble master bath is complete with a dual vanity, garden soaking tub and a separate walk-in shower. 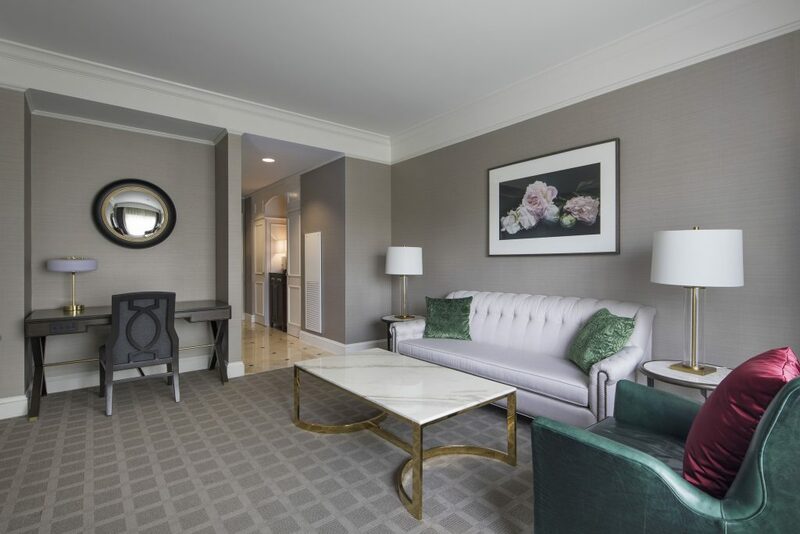 A half bath is located adjacent to the living room.